Tottenham crushed Manchester United with a comprehensive 3-0 victory at Old Trafford this afternoon, handing the Red Devils their second loss out of the first three Premier League games. 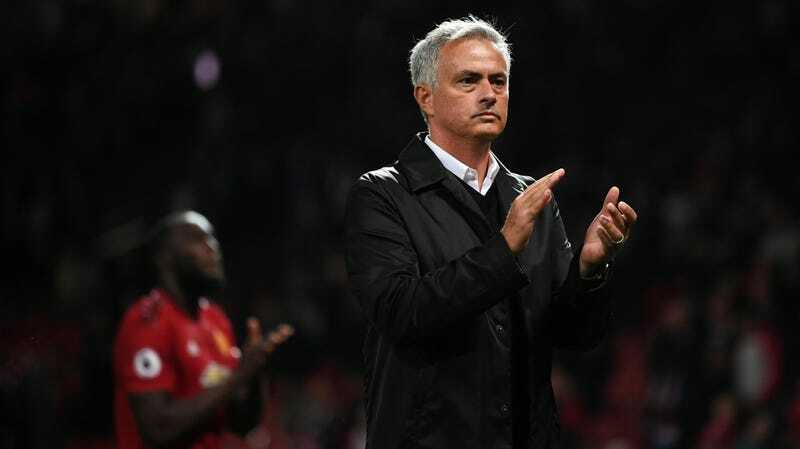 United manager Jose Mourinho—who’s coming off a tumultuous offseason and has a tendency to see his clubs implode in the third year of his tenure—is doing his best to put on a proud, happy face, and only really succeeding in coming off like a bit of a wacko. Then there was bargaining—United won the strategy and the tactics, but just not the score. Two out of three ain’t bad. Finally, we got a glimpse of anger. “What was the result?” Mourinho asked a reporter. “3-0. But also mean, three Premierships, and I’ve won more Premierships alone than the other 19 managers together.” He then stormed out while repeating “respect” over and over again. So, uh, things are going great up in Manchester.